I don't think you are missing anything. It is just a very bad card. so it might be usefull in some really anty-mill meta to finish off the deck when you cant do it normally. There are many support destruction that target only locations. It is a relict so it interacts with some cards. You cant have 6 estates. Maybe if there was a card that really hurts players with too many cards in hand. Candidate for Worst Card in the Game IMO. 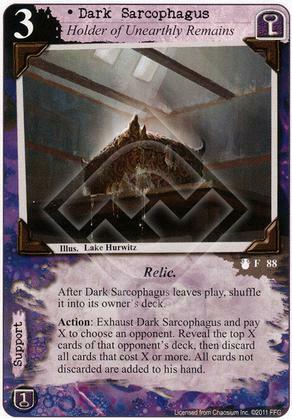 Some day I may take on the challenge of designing a deck that makes this card seem to be worth a damn. Try it and let me know how it goes. We might be trying too hard. This is like trying to make lemonade out of battery acid.